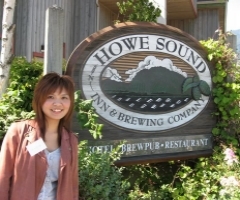 The Howe Sound Inn and Brewing Company is a character northwest inn located in the town center of Squamish, British Columbia, a scenic 45 minute drive north of Vancouver, and only 35 minutes south of the resort of Whistler. The Inn offers a warm, casual atmosphere, where you can enjoy affordable accommodation, a great meal and a pint of real ale brewed on the premises. Throughout the hotel, you will enjoy artwork, photography and information on the region's heritage, natural history and recreational opportunities. 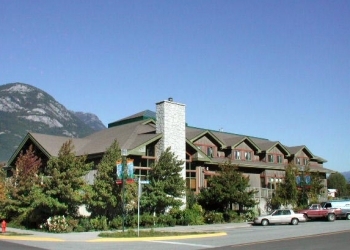 The inn is located at 37801 Cleveland Avenue in the Squamish Town Centre at the very end of Cleveland Avenue. Howe Sound offers gorgeous views of the Stawamus Chief, Western Canada's premiere rock climbing venue. The inn is a minute's walk from downtown shops, the local marina and the Squamish Estuary. The estuary offers excellent walking and running trails, and is a site for great birding opportunities all year long. Over a century ago breweries dotted British Columbia�s landscape. Hop farming flourished and the Squamish Valley Hop Ranch supplied hops to the British Empire. With the advent of Prohibition, the number of breweries and hop farms dwindled. By the 1970s only a few large breweries remained. 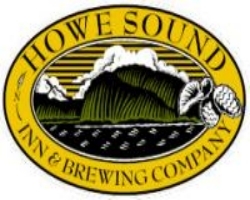 In 1980, BC�s John Mitchell and Frank Appleton pioneered North America�s first modern craft brewery at Horseshoe Bay on BC�s spectacular Howe Sound. This began what has become known as the �craft brewing renaissance�. In 1996, John Mitchell helped design the Howe Sound Brewery and worked as Howe Sound's first brewer developing our initial recipes. Known as the �grandfather of micro-brewing in Canada�, we are proud of his ongoing relationship with our brewery. Today, the brewery continues to brew in the craft style using unfiltered 100% barley mash. We pride ourselves in brewing a diverse selection of flavorful, well-balanced ales. A refreshing, lightly hopped golden ale brewed with all-natural Lillooet honey and made with barley, honey, hops, water and yeast. It is brewed in recognition of the Sea to Sky regions highest peak, Mount Garibaldi (8,776 ft, 2,675 m) which was named for Italian hero Guiseppe Garibaldi, the man of two worlds. A hoppy golden ale with recession-fighting properties and brewed with 100% barley, hops, water and yeast. It is a bitter ale for bitter times. A refreshing Belgian-style wheat beer with hints of coriander and orange made with 50% wheat, 50% barley, hops, water, yeast, coriander and dried orange peel. It is named in recognition of "The Spit" - Squamish's world-class windsurfing and kiteboarding venue at the head of Howe Sound. A smooth, slightly hoppy pale ale with a light fruity nose and made with 100% barley, hops, water & yeast. Delicious! It is named in recognition of Squamish BC's rich forestry heritage and the expanses of fir, hemlock, cedar, and balsam that dominate the regions beautiful landscape. A traditional oatmeal stout with an intense roast barley flavors and mildly hopped using Willamette and Nugget hops. The robust flavour is balanced with a smooth creamy finish. It is named for the razor's edge ridge that comes off the south flank of Mount Garibaldi's Atwell Peak. A strong, malty red ale with an aromatic Cascade hop nose, red ales are becoming increasingly popular in the brewing community, as they can show off the complex malt profile of beer. 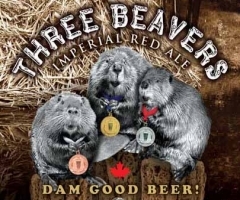 It is brewed with a selection of roast barley, hops, yeast and fresh Canadian water.